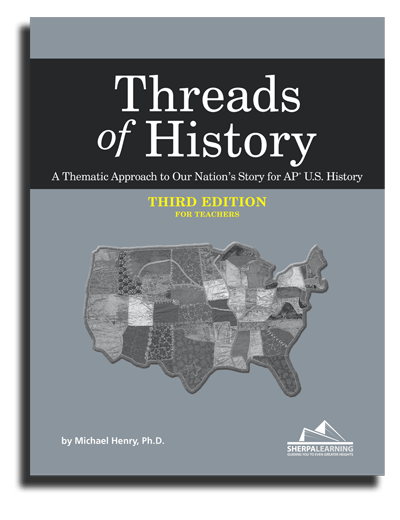 Threads is a smarter way to review APUSH course content in the weeks leading up to the exam. 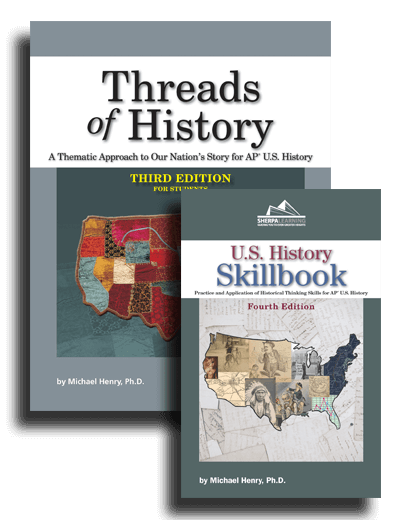 The lessons in Threads are based around key themes—rather than chronological periods—in U.S. History. 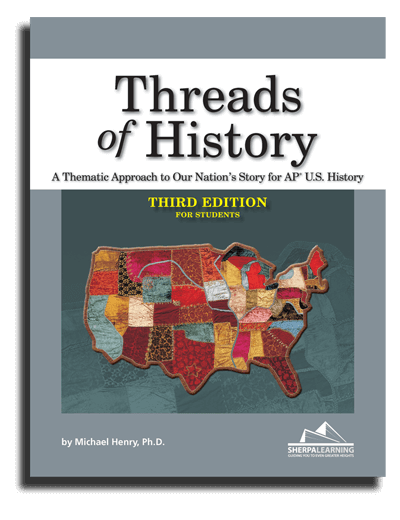 The core charts at the heart of Threads build strong thematic analysis skills by guiding students through how to make connections across historical periods, while reviewing critical content for the exam. 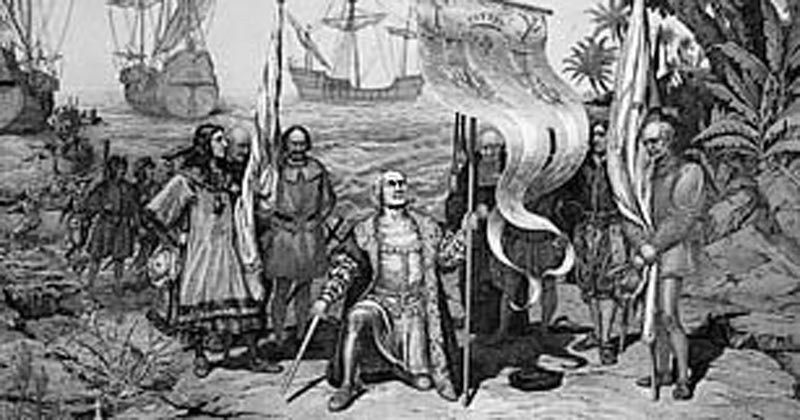 Each lesson includes exam-level multiple-choice and short-answer questions, all with corresponding primary or secondary source documents. Each lesson will explore an aspect of a topic in some depth. 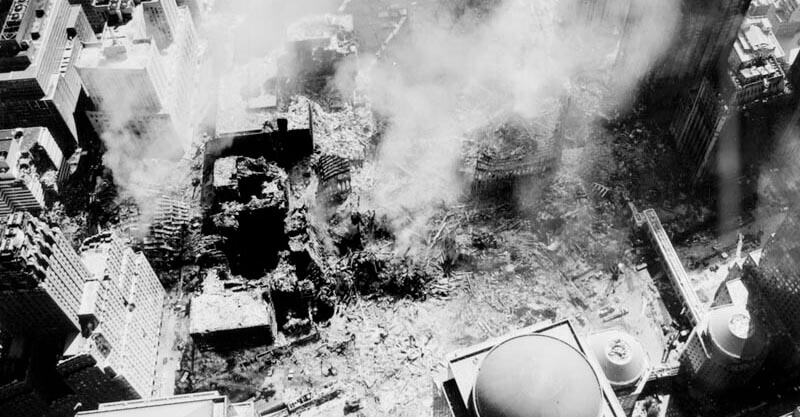 These terms will deepen understanding and expand meaning of the issues at hand.